Northern Essex Community College is easily accessible from throughout the Merrimack Valley region. The Haverhill Campus borders Kenoza Lake and is just one minute from exit 52 off of route 495. The Lawrence Campus locations are located in the heart of the city less than 10 minutes from exit 41 off of route 495 or exit 46 off of route 93 and NECC Riverwalk, is located right off Route 495, exit 44. 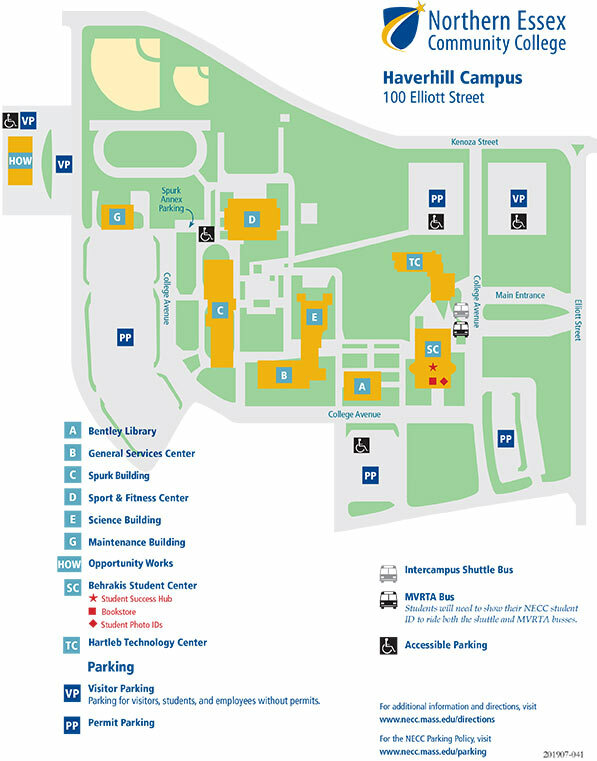 Download all maps (PDF 404 KB) or visit the campus pages below for individual maps and directions.